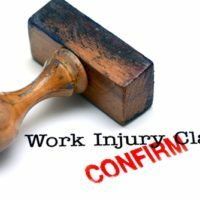 Is my injury covered by workers’ compensation benefits? Getting injured on the job and being left unable to work can be incredibly frustrating. Luckily, workers’ compensation benefits can help you out while you are recovering so you don’t have to worry about missing mortgage payments and other bills. But some injuries are not covered by workers’ compensation. In general, your injury (either a new injury or an aggravated old one) must have been related to your job to qualify for workers’ comp. Most qualifying injuries happen either at your workstation or somewhere in the building. There are other instances that may qualify, however. If you are, for example, in a company truck going to a jobsite or something else off-site directly related to your job, you are likely covered. If you are injured at a sanctioned event, like a company picnic, you may also be covered by workers’ compensation benefits. If you are hurt while not doing something related to your job, it likely is not covered. There is also some gray area to consider. If employees are disregarding safety rules and get hurt, such as during horseplay, the courts may decide you do not qualify for benefits. In addition, cases such as injury during a lunch break could become tricky. Workers’ compensation doesn’t just include physical injuries. Mental problems that either arise or are aggravated as a result of your job are likely covered. Of course, these kinds of cases can be trickier, as there are usually no outward signs. If you have suffered from a workplace injury, either mental or physical, in Tennessee, you may qualify for workers’ compensation benefits. It is recommended that you speak with an experienced attorney to discuss your case.